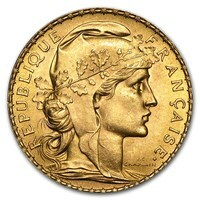 The 20 Franc French Gold coins are one of the most elegant and beautiful coins available on the market. This coin has seen an increase in demand year by year. It was produced to demonstrate the greatness and richness of French history and culture. It symbolizes the gold industry that France is widely known all over the world. 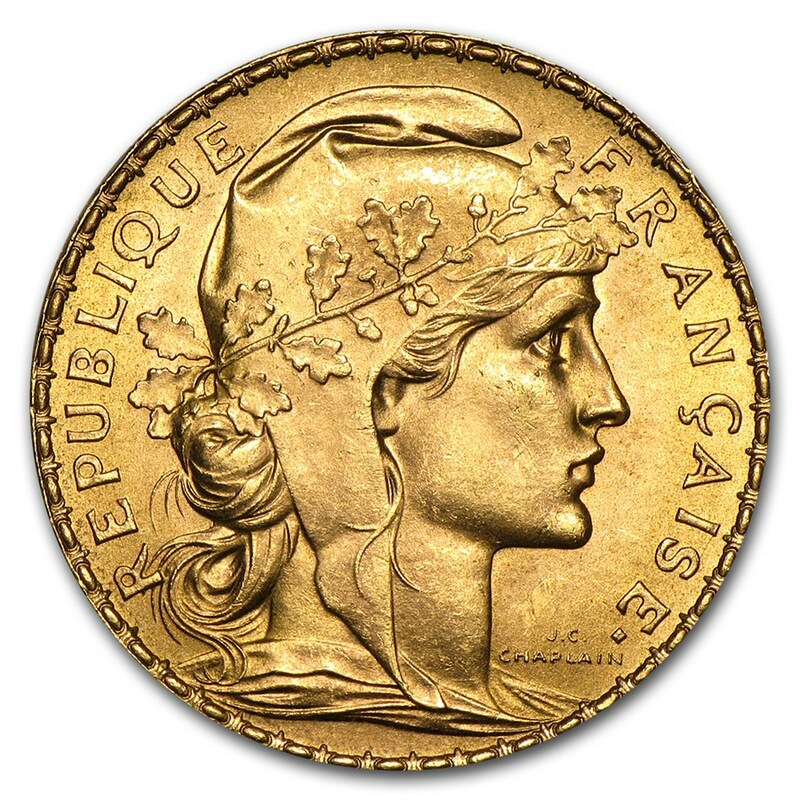 The Francs Rooster Coin, which features the gallant rooster as a symbol of France, was minted in Paris in 1899 by the Paris mint. Although it has been over 100 years, these coins are still one of the most popular coins on the market. They are packed with history and tradition, and they have stayed a favorite amongst investors and collectors.